The various solemnities of our Lord offered to us in the liturgy throughout the year give us an opportunity to contemplate the unfathomable mysteries of God from different points of view, and to let their light fill with meaning our Christian life in the world. The liturgical year centers on Easter, which in a way “spreads over three months—first the forty days of Lent, then the fifty days of Eastertide.” This is followed by “three feasts which instead have a ‘synthesizing’ character: the Most Holy Trinity, then Corpus Christi, and lastly, the Sacred Heart of Jesus.” The feasts of the Holy Trinity and Corpus Christi were the topics of a previous article. 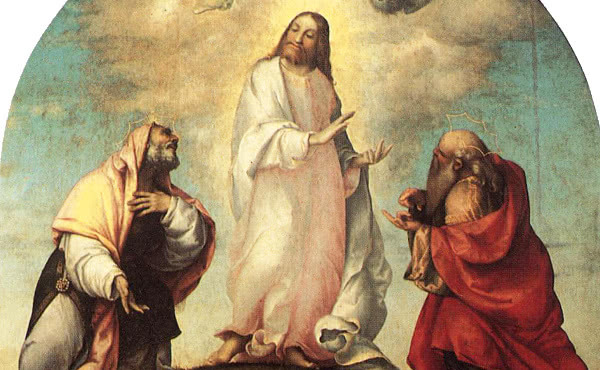 Here we shall look at the Solemnity of the Sacred Heart, followed by those of the Transfiguration and the Exaltation of the Holy Cross, and finishing with that of Christ the King. On the Friday following the second Sunday after Pentecost the Church directs our gaze to Christ with his side laid open on the Cross, the expression of God’s infinite love for mankind and the source from which the sacraments flow. Contemplating this scene has fed Christian devotion from the earliest centuries, providing an unfailing source of peace and security in difficulties. Christian mysticism invites us to open ourselves to the Heart of the Incarnate Word: that Christ may dwell in your hearts through faith; that you, being rooted and grounded in love, may have power to comprehend with all the saints what is the breadth and length and height and depth, and to know the love of Christ which surpasses knowledge, that you may be filled with all the fullness of God. Popular piety in the late Middle Ages developed a deep, expressive veneration for the Sacred Humanity of Christ suffering on the Cross. Devotion spread to the crown of thorns, the nails, the wounds… and to his open Heart that sums up all that our Saviour suffered for us. These pious devotions left a mark on the Church, and the liturgical celebration of the Sacred Heart was established in the 17th century. On 20 October 1672 a Norman priest, Saint John Eudes, celebrated a Mass of the Sacred Heart for the first time, and in 1673 the news of Saint Margaret Mary Alacoque’s visions about this devotion began to spread throughout Europe. Finally Pius IX officially established the feast for the entire Latin Church. The Solemnity of the Transfiguration probably arose from the annual commemoration of the dedication of a Basilica of the Transfiguration on Mount Tabor. In the ninth century the feast spread to the West and later, during the eleventh and twelfth centuries, it started to be celebrated also in Rome, in the Vatican Basilica. Pope Callistus III incorporated the feast into the Roman Calendar in 1457, in gratitude for the victory of the Christian armies against the Turks in the Battle of Belgrade on 6 August 1456. Listening to our Lord with the sincere desire to identify ourselves with him leads us to accept sacrifice. Jesus was transfigured so that the scandal of the Cross might be removed from the hearts of his disciples, to help them bear the dark moments of his Passion. The Cross and glory are closely united. The forty days between the feast of the Transfiguration, 6 August, and the Exaltation of the Holy Cross, form in some traditions a second Lent. Hence in the Byzantine tradition this period is observed as a time for fasting and contemplation of the Cross. This loving petition is made throughout the liturgical year when we put into practice in our daily lives what we celebrate in the Mass. The Sacred Heart of Jesus, his Transfiguration, the Exaltation of the Holy Cross and the Solemnity of Christ the King do not just give shape to the liturgical year, but actually fill with meaning the days on which they are celebrated. 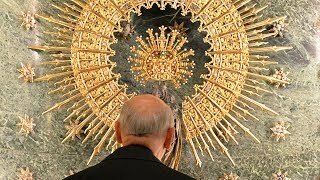 Benedict XVI, Homily on the Solemnity of Corpus Christi, 22 May 2008. Saint Josemaria, Christ is Passing By, 170. Anastasius of Sinai, Sermon on the Transfiguration of the Lord. Liturgy of the Hours, Office of Readings for 6 August. Saint Josemaria, Holy Rosary, fourth mystery of light.